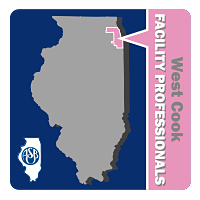 Facilities professionals are partners with CFOs in leading the operational side of the district. To support the ongoing professional development and networking needs of facilities professionals, regional organizations have been forming statewide. Learn more about how they came about in this video! 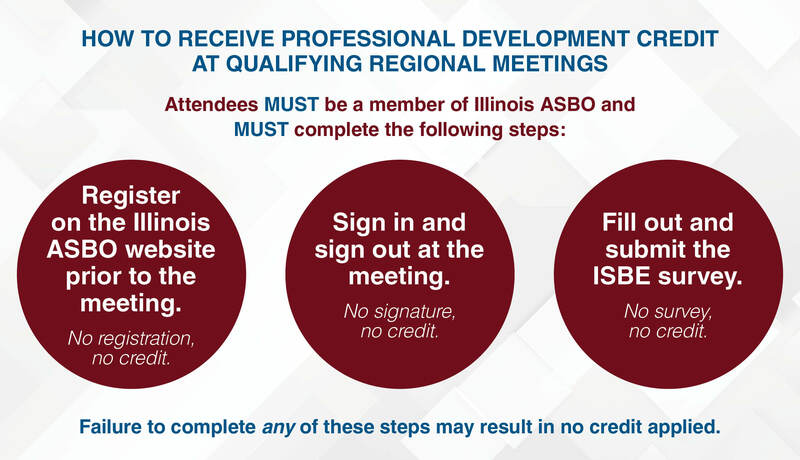 Due to ISBE regulations, there are several different steps that must be completed for Illinois ASBO members to receive Professional Development Clock Hours at Regional meetings. We've narrowed it down to three simple steps for our members. For auditing purposes, all three steps must be completed. If not, Illinois ASBO will not be permitted to provide credit. 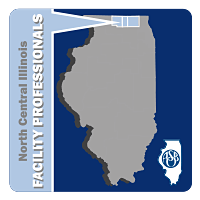 In 2011, the first facilities regional organization was formed so that facilities managers could gather and discuss topics relevant for school facilities. These groups continue to gain momentum — there are now five facilities regionals throughout the state! Network with like-minded professionals in your area! 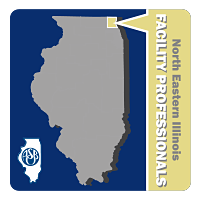 Regional meetings feature speakers on relevant local issues and timely topics for facilities professionals. There are five regionals which cater specifically to your needs — choose from the list below to attend a meeting and learn about issues that connect directly to this vital area of school operations. Find your upcoming regional meeting on the Event Calendar. Service Associate Members are invited to attend many Regional Organization Meetings. Please refer to the Events/Regional Organization page to determine whether the meeting you are interested in attending allows Service Associates. Vendors that speak at Regional Meetings are expected to adhere to the Illinois ASBO Service Associate Code of Ethics.